Basic, whole wheat baguette. Can be served as a side dish (see mushroom lasagna), or with jam for breakfast! In a large bowl sprinkle yeast and sugar over warm water and let stand until foamy, about 5 minutes. With a wooden spoon stir in 2 cups flour until combined. 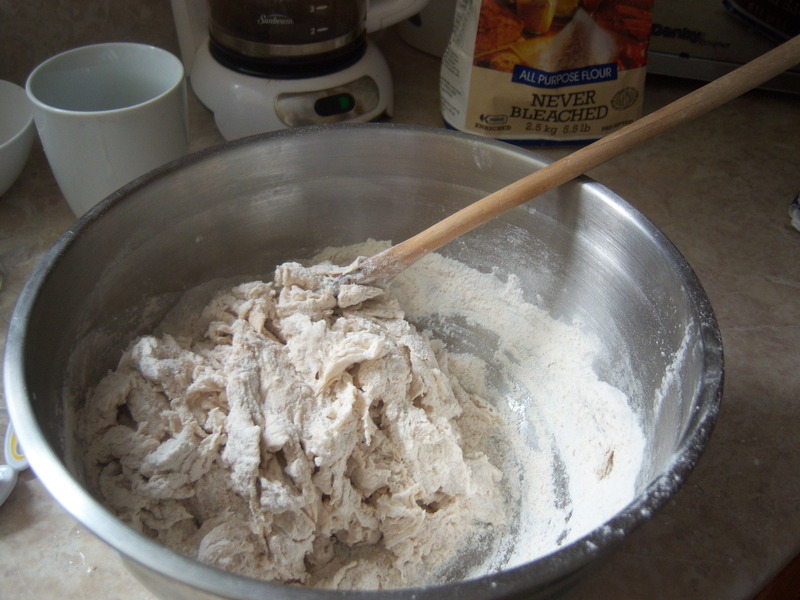 Stir in salt and 2 cups of remaining flour until mixture forms a stiff dough. 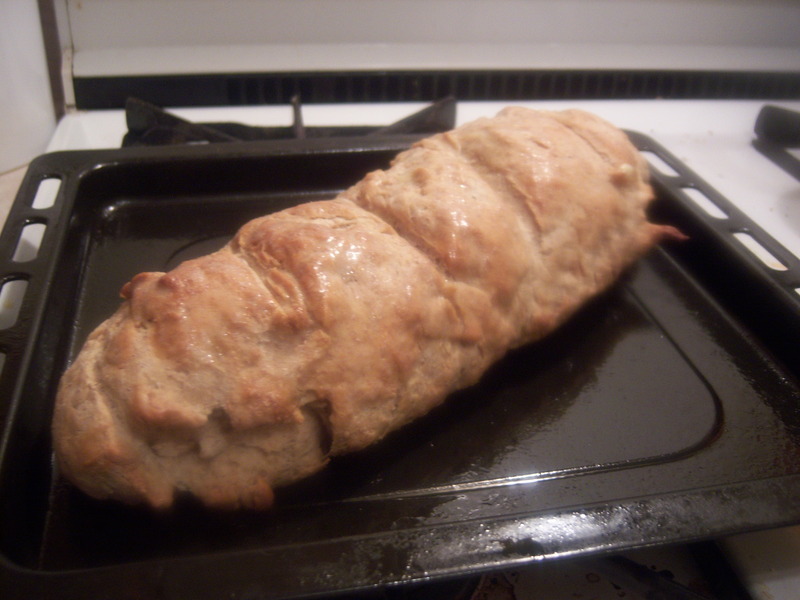 Punch down dough and form into a long slender loaf about 21 inches long and 3 inches wide. 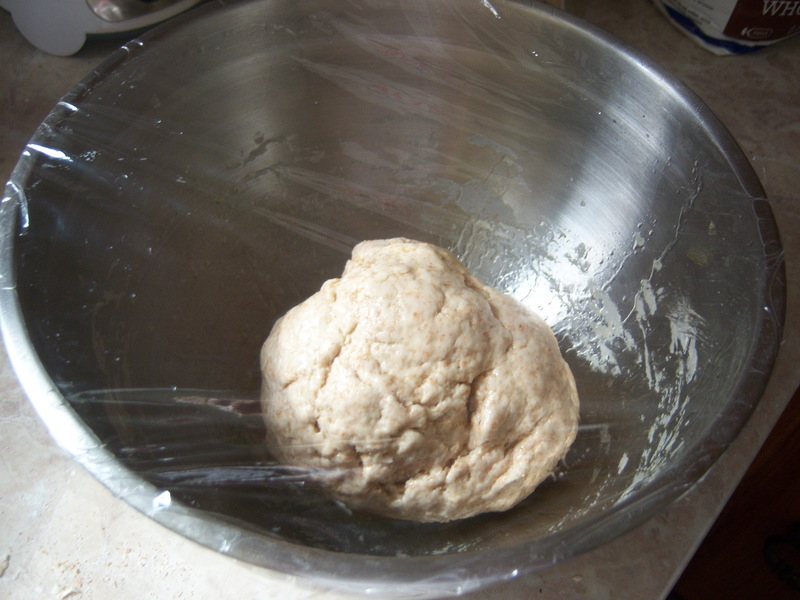 Put loaf diagonally on a lightly greased large or 17- by 14-inch baking sheet and let rise, uncovered, about 30 minutes. (Baguette may be made up to this point 4 hours ahead and chilled.) Make 3 or 4 diagonal slashes on loaf with a sharp knife and lightly brush top with cool water. ← Ultimate breakfast: Hash brown with fried egg & avocado, fruit salad and spice cake.